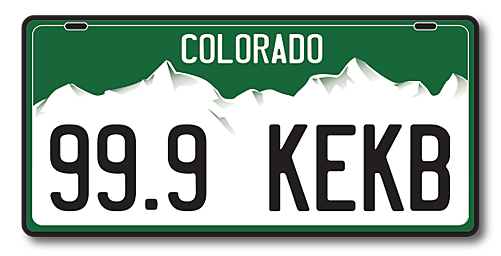 Colorado's trails, wildlife, road updates, and interstate cameras are just a click away. As a matter of fact, you can have access to valuable information, all for the low, low cost of free. Check out these five free Colorado apps you should download right away. Colorado, for lack of a better word, is awesome. Trails, parks, wineries, mountains, wildlife, mountain biking, all right here in our backyard. Unfortunately, you can't enjoy something if you don't know about it. Several free Colorado apps exist offering valuable information on travel, recreation, and natural attractions. Stay in the loop, and keep this information close at hand. Check out these five free Colorado apps. No Rating.... hey, it's brand new! Road alerts, travel conditions, construction, everything you need. This app should be kept handy at all times. The Wild CO app, developed right here in Western Colorado, offers fascinating information on the state's wildlife. With just a click you can access info on wildlife you are likely to encounter in the Western Colorado outdoors. It's easy to navigate, features outstanding photography, and shares detailed information on our indigenous wildlife. Take a look at road conditions all over the state with just one click. You can view Colorado roads, highways, and interstates through the lens of hundreds of different cameras. Get a real-time view of your travel route with this fascinating app. Take a look at the bumper-to-bumper congestion on I-70 near Loma. Just kidding. There's not a car on the road. This is the kind of info you can obtain from this site. Very handy. These apps are convenient, easily accessible, and FREE. User friendly apps are kind of like pickup trucks; you're never be sorry you have one. Download these apps now.